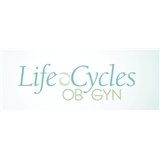 Life Cycles OBGYN (West Orange) - Book Appointment Online! At Life Cycles OBGYN, your comfort and health are our top priority. We offer complete gynecologic care for women and adolescents, and pride ourselves on offering specialized care for each individual while remaining sensitive to your needs. We invite you to join our growing family of patients, and experience an atmosphere where women’s health comes first. Our state-of-the-art technology and advanced techniques ensure that you receive top-quality care in a safe, clean and comfortable environment. We are committed to providing comprehensive obstetric and gynecologic services for the women of our community. We do not perform deliveries, but instead focus on providing exceptional prenatal and postnatal care. She is such a good doctor,I love her.